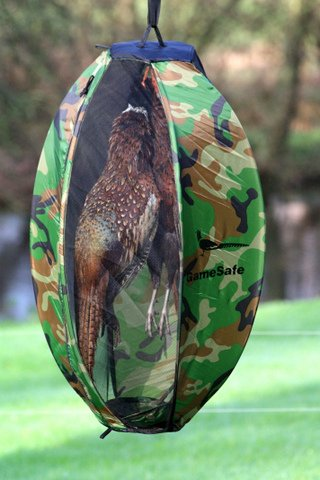 The GameSafe is a innovative storage product designed to protect shot game from fly infestation. 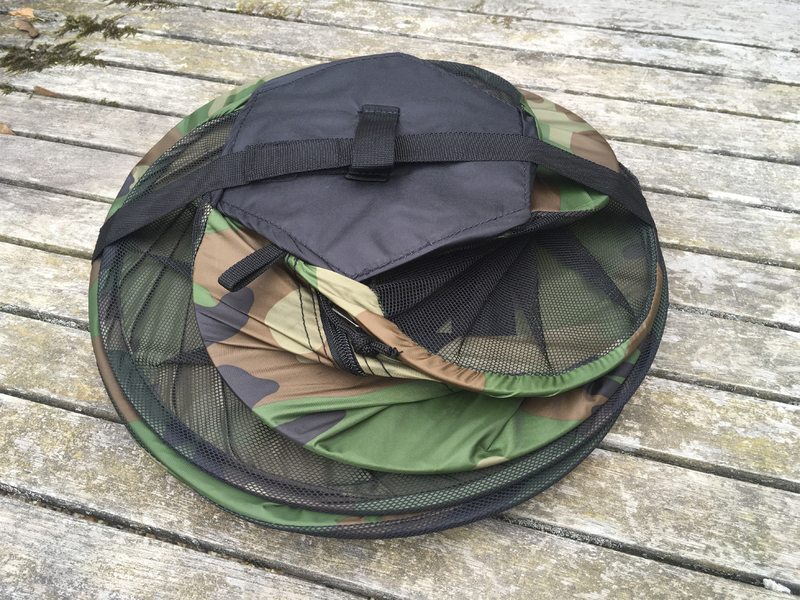 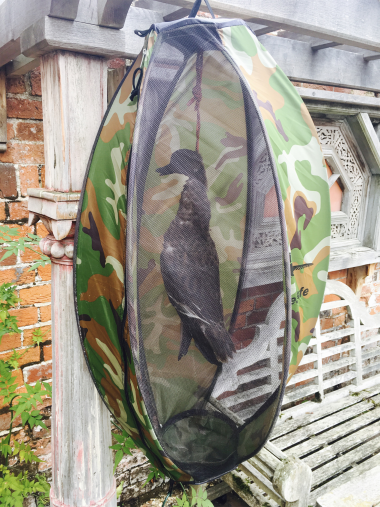 Flies are attracted to hanging game and too often pheasants have to be thrown away due to excessive maggot infestation, particularly in warm weather conditions. 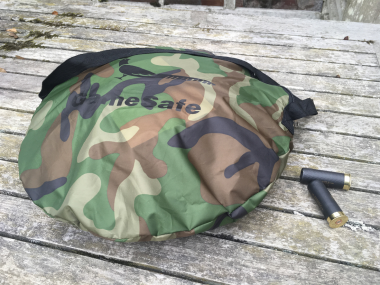 The GameSafe is extremely easy to assemble, it arrives flat packed and as soon as the fastening is undone, it springs into the shape of a hanging bag. To collapse and store, zip up the bag and with one hand on the top, apply a downward motion onto a flat surface and push both ends together. Handwashable, simply use warm water and a mild detergent. 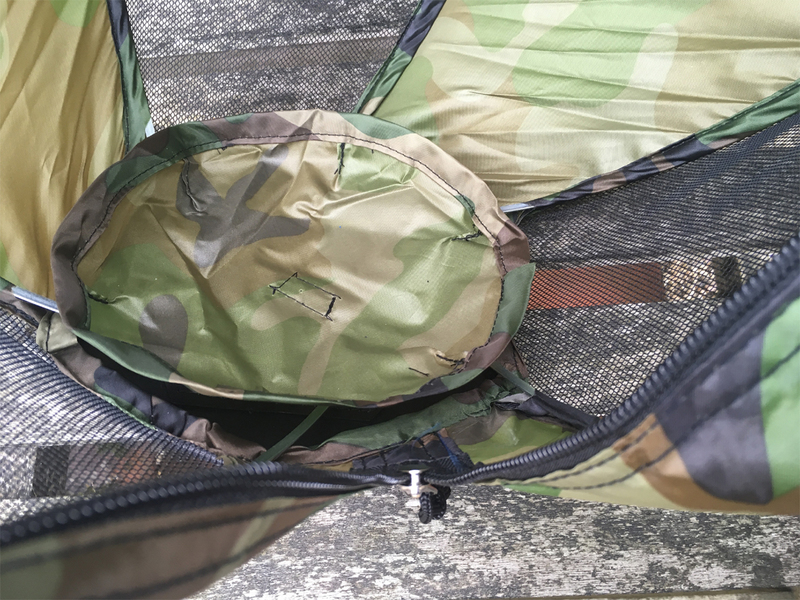 Rinse throughly.